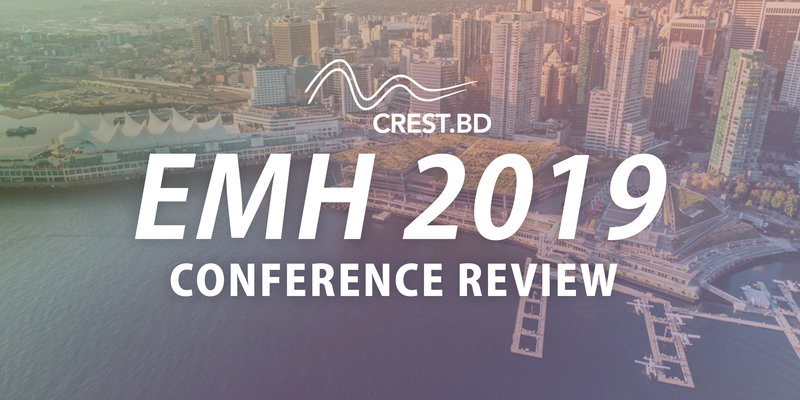 Vancouver BC was the destination for the two-day 8th annual e-Mental Health Conference (EMH 2019): New Generations, New Services: Shifting Mental Health to the Digital Age. This year’s conference was held on February 1-2 at the Vancouver Convention Centre, and brought together hundreds of researchers and mental healthcare providers from around the world to exchange ideas and experiences on how to better refine and deliver e-mental health initiatives to improve the lives of to those who need help. EMH 2019 was co-hosted by Mental Health Commission of Canada, the University of British Columbia, and the University of Toronto, and featured keynote speakers Professor Maree Teesson, an expert in prevention and treatment of comorbid mental health and substance abuse from the University of Sydney, and psychiatrist and neuroscientist Dr. Tom Insel, who served as Director of the National Institute of Mental Health (NIMH) from 2002-2015. 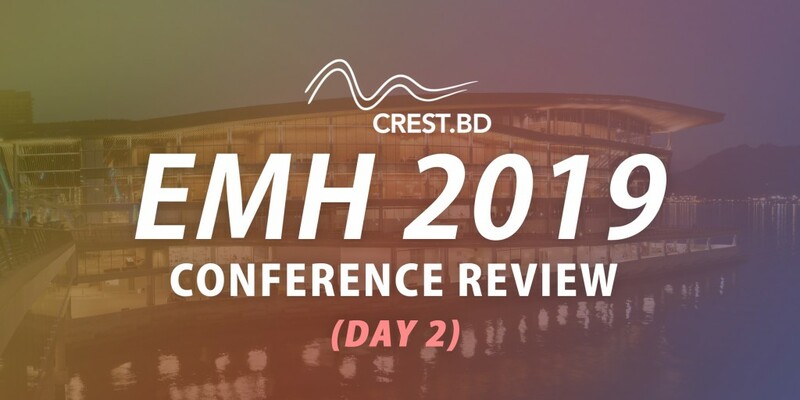 This workshop nicely blended a focus on real world experiences of mental health care implementation strategies with knowledge and lessons from the world of implementation science. Peter Cornish began by introducing ‘Stepped Care 2.0©’, an adaptation of the original stepped care model developed in the UK. Traditional stepped care approaches were designed to support best use of scarce mental health resources by encouraging more efficient systems of care, offering lower intensity treatments to clients first, after which time treatment intensity can be either stepped up or down, depending on patient need. It promotes more rapid access to care through single-session walk-in clinics that offer solutions immediately with minimal assessment. A strong and simple start is key with openness to trial and error. It extends strengths and solution-focused principles throughout the stepped care continuum. It shifts the emphasis on monitoring towards variables that are more predictive of therapeutic success, including client capacities, therapeutic engagement and readiness to become actively involved in the change process. It extends the reach of the model to include health and mental health promotion and illness prevention activities through population based programming. The workshop was then gracefully moved by Alexia Jaouich into a more conceptual examination of implementation from an implementation science lens. Clear definitions of what we mean by implementation and implementation science are important, especially as this is a fast-evolving field. Jaouish’s preferred definition of ‘active’ implementation is that of Fixsen (2015): “Implementation is defined as a specified set of activities designed to put into practice an activity or program of known dimensions”. It’s deliberate. It’s purposeful. And it’s systematic. 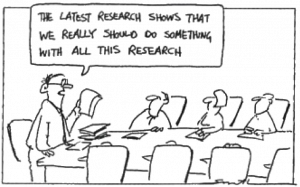 One of the most important take homes for me from the workshop was Jaouish’s compelling argument for implementation scientists and practitioners to think carefully, and continually, about the ‘active ingredients’ in what they’re implementing. In her analogy – what’s the critical component in your recipe? If you’re making a making a chicken soup, what are the core ingredients that make it a chicken soup? Whether we’re in the science of implementation, or working to effectively implement advances in mental health care on the ground, the message is the same. If you throw too many ingredients into the pot willy-nilly, it’s going to be hard to eventually describe the dish you’re serving. This workshop contained interesting information about trends in alcohol and drug use amongst teens, showing both the positive and negative trajectories. For example, the average age an adolescent has their first drink in Australia has gone from 14.7 in 2001 to 16.1 in 2016, however, this trend was not apparent in people who binge drink (eleven or more drinks in one sitting). The presenters also showed data illustrating the closing gender gap in alcohol use; over the past century females have nearly doubled their amount of alcohol consumption and are now practically on par with the male population. The information I found the most interesting related to surveys done regarding alcohol misuse within the general population. The researchers asked at what age did you first notice symptoms of alcohol misuse and found that within that population 50% had noticed by age 20 and 75% had noticed by age 28. What was disturbing was that the average time it took this sample to receive help for their drinking; a reported average of 18 years. One of Dr. Teesson’s goals is to try and normalize not using, especially in a society (Australia) that often encourages and celebrates alcohol consumption (she showed images of alcohol companies advertising on sporting events and normalizing drinking behaviours). Dr. Teesson and colleagues have created online cartoon dramas which can be shown in schools to help reframe ideas around alcohol and how choosing not to drink is an acceptable option. *Amy Polinsky is a is currently completing a directed studies course in Psychology with CREST.BD as student at the University of British Columbia. To learn more about Dr. Teesson’s online evidence-based drug prevention research, visit Positive Choices. Learn more about Laura Ospina’s research at the Brain and Mind Centre. PARO is an advanced interactive social robot developed by Japanese robotic research company AIST. It was designed to mimic the effects of animal therapy without the additional care and attention that live animals require. The presentation began with the Social Robot Research team bringing PARO around the room and allowing attendees to interact and touch PARO in person. 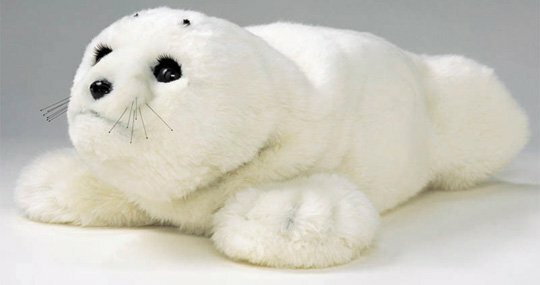 PARO the “social robot” seal. PARO is available on the market and can be purchased online – watch a product review video on Amazon.com. Dr. Hung also took some time to elaborate on the Social Robot Research Team’s patient-oriented approach to the project, and how involving people with lived experience in every step of the research process (from identifying to priorities to knowledge dissemination) can increase the quality and relevance of research, to ultimately enhance the lives of those that the project aims to help. This was most aptly demonstrated when patient partner and peer researcher Mario Gregorio (pictured above with PARO) got behind the microphone to describe his involvement in the team’s research project as a person diagnosed ten years ago with vascular dementia. In a heartfelt closing speech, Gregorio drove home the message that it is possible that with good support, people living with chronic conditions can have the chance to live valuable and dignified lives. *Caden Poh is a Research Coordinator at CREST.BD. The presentation started with highlighting ‘positive psychology’, the notion that a client doesn’t need to just get to “normal” but instead to learn to thrive and become more optimistic and resilient. He went on to describe how reframing our ideas, on a personal or societal level, might have implications for personal and public health. He discussed how aging is viewed differently in different cultures and how it is often frowned upon in western societies but really celebrated in a lot of eastern cultures. He discussed the concept of ‘Wabi Sabi’ from Japan, which is the appreciation of aging, so that when something (for example, a vase) gets older and more damaged it actually becomes more beautiful and so instead of discarding it, the Japanese will will actually fill the cracks with gold to highlight it’s imperfections. Blackburn spoke of how they have taken the tenants of positive psychology and applied them to tools for aging populations, with the ultimate goal of supporting positivity, activity, and socialization. Using wellnessapp.ca, people are encouraged to log and track their goals. Using a Health and Resilience questionnaire people are able to see which areas they would like to improve upon and then set reasonable and attainable goals to achieve success. The app sends encouragement reminders and has resources, such as S.M.A.R.T. (specific, measurable, action-oriented, realistic and time-limited) goals to assist people in decision-making and planning. This tool was deemed useful for seniors, but really can be used by anyone.